Must serve hot meals, so no Muffin Break, Donut King, New Zealand Natural, Michel's etc. Do you ever just wish football stadiums would sell their overpriced, undernourished, tasteless mush on days when no football is being played? No, I didn't think so. But if you ever do feel the urge to eat a hot dog so basic your 3 year old could have put it together, Harry's is probably the only place in Sydney that can cater to you. My problem is the chain tries to come off as iconic when really it's just a van selling moderately priced snack food that you can buy cheaper frozen at the supermarket. Hungry Jacks' breakfast is diabolical, especially for someone so used to McDonald's. 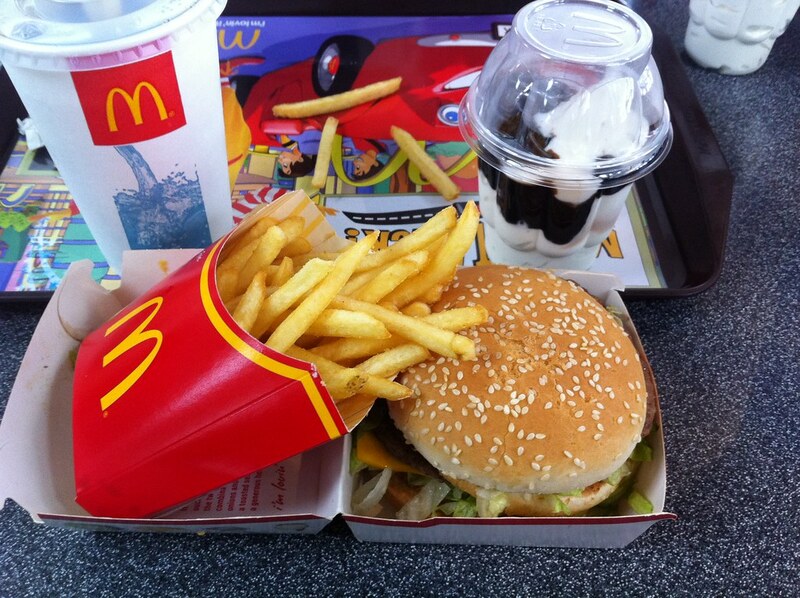 The burgers are not better, it's what you eat when no other fast food chain is around. The triple cheeseburger, which is awesome, and the onion rings save it from dipping to last place. None of my mates have ever had a decent wrap from here. They're also very expensive; $10 for a wrap? $1.50 extra for eggplant? This isn't a restaurant. It gets bonus points for letting you watch them make it. 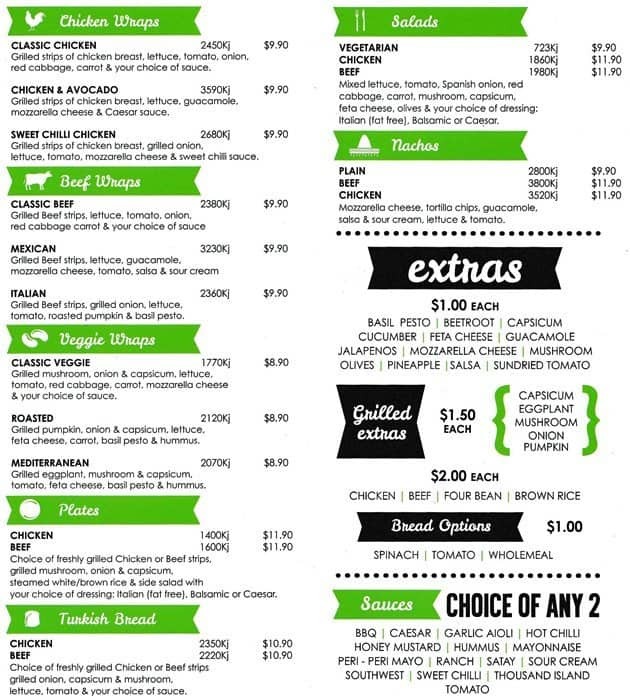 The only good thing on the menu tbh is the Bondi Burger, and, inexplicably, it costs $9.50. Their prices are a massive issue, a roast chicken goes for $20, which is $12 more than Coles or Woolies, and a bowl of coleslaw costs $6. The wait time can drag past 10 minutes too, which is way too long. 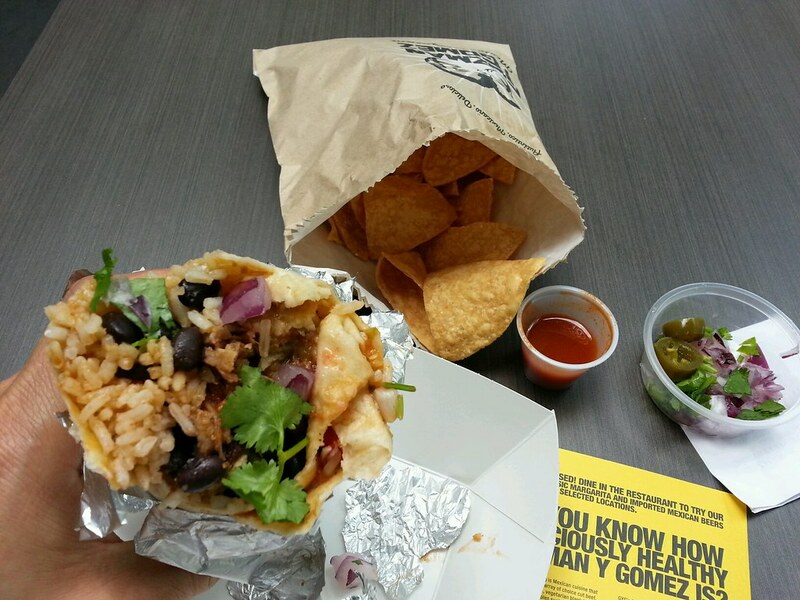 There's not a lot wrong with Guzman y Gomez. Their claim to be a restaurant is a bit dubious, and the prices don't compare favourably with the rest of this list, but the food is nice. I've heard people complain there's not enough food, and this image proves quality and quantity is a case-by-case basis. If you're going to have a blow out and eat Mexican though, go somewhere nice. There's a lot to dislike about Hokka Hokka, mainly the prices, which are restaurant level for fast food quality, and the claim that they have a "healthy" range yet provide no nutritional info to back it up. The food is actually quite nice, but why buy nice food from here, and sit in an awful food court, rather than go to a restaurant for the same price and a better experience? Ogalo just tastes better than Oporto. I don't know why. Objectively, it's slightly cheaper, and significantly cheaper than Oporto for a whole chicken ($13.90 vs $20). Salad prices are reasonable. But what you all want to know is how hot do they go? Oporto can get that heat right up there, can Ogalo match? I think Ogalo is slightly hotter. It made me very ill once (not food poisoning, just too much chilli!). It also has a much better range than Oporto, although the Pinegalo with pineapple needs to be stricken from the record forever. There isn't a lot of enjoyable items on their menu. Really, you're looking at the Rippa, the Rooster Roll, and their chicken nuggets. Everything else is just not very nice. They lose so many points for the pineapple fritter, which is just abhorrent. They also sell peas! Nothing wrong with SumoSalad, a good range of nice and exotic salads, rolls, pasta, wraps etc. They lose an epic amount of points for listing meat on their menu under "Proteins". Gets major points for their awesome Peri-Peri sauce, and the giant basins they have in the store to wash your hands in. Classified as fast food because you pay for your food first, and takeaway is a much-utilised option. Loses points any time someone says "Let's have a cheeky Nando's with the boys". The Original Tenders and their horrid breakfast range drag KFC down. Surely no-one ever felt the need for a chicken, bacon, and egg Twister at 8 am. That's ok though because the rest of their range is incredible. Original Recipe chicken is always crispy and fatty. Sometimes it's a bit hard to get through more than a couple of pieces because they are so filling. The burgers are incredible, especially the Zinger. The boxes are GOAT. A 3 piece feed will cure any hangover, and the 5 Stars Box is a true MVP. The McDonald's range is legendary. The McChicken is a giant chicken nugget, the Double Quarter Pounder oozes fatty goodness, and the Big Mac is iconic. Even the Fillet O Fish is well executed. They do the best fast food breakfast in the game, with Hash Browns being a favourite of anyone with taste buds. Soft serve ice cream is brilliant, as is the choc syrup, and a McFlurry is now one of the best things humans have ever invented. But, the great leveler is the fries. You can have a range that rivals Beyonce, but if those fries aren't any good (the downfall of many a corner store), you're just not going to cut it. I believe McDonald's fries to be the best, purely based on consistency. Very very rarely do you get a bad batch; they might have been sitting in the warmer a bit longer than usual, but sometimes that's when they are at their very best. Not too much salt either. McCafe is not good though. The coffee is often burnt, the selection of pastries is weak and they look old and unloved, and it usually takes forever for your order to be made. So I've been hearing lately that people are beginning to dislike Subway. 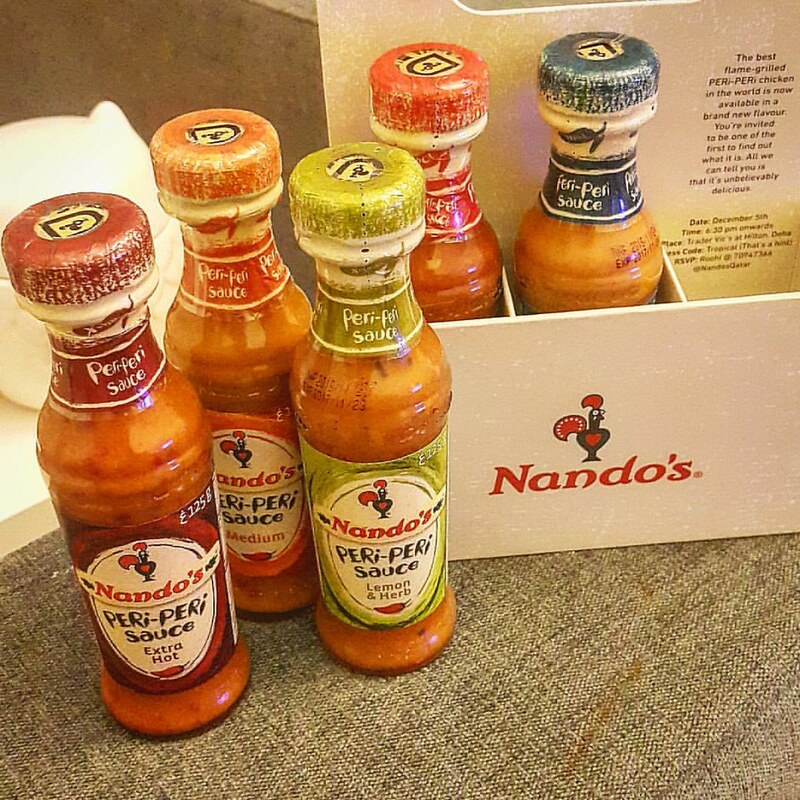 Their range hasn't changed dramatically, but neither has that of Red Rooster or KFC. The subs are quite cheap considering what you get (especially if you ask for double salad), and they sell delicious cookies. Their breakfast range is woeful (see a trend? ), but their subs more than make-up for it. There are almost infinite combinations and flavours to explore. They have 21 main subs, to which can be added 7 types of bread, 11 types of salad, 4 types of cheese, and 12 types of sauce. No other chain in existence gives you so much choice. They're also significantly healthier than KFC, McDonald's, Red Rooster, and Oporto. What more do you want?! 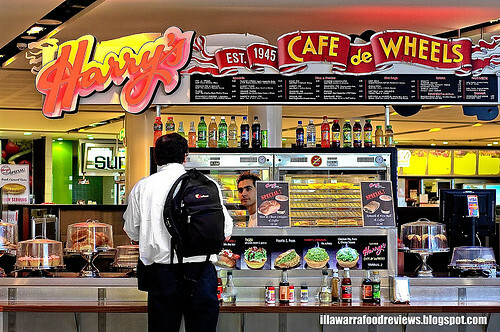 There's a culture of what we call "hot food" shops in Aus. They include kebab shops, burger joints, and fish & chip establishments. There aren't any major chains, just a bunch of bloody delicious menu items. Kotez in Bellambi, George's in Padstow, Legendary Fish and Chips in Waterfall, Chicken Wizard in Panania, Sal's Kebabs in Revesby. Local legends providing incredibly delicious and unhealthy food for us all to enjoy. It's the home of the 50c potato scallop, the weird seafood-stick salads that taste incredible, crab claws (shout out to Emily), the Halal Snack Pack, a burger with the lot, and, most importantly of all, chips and gravy. All served in either a cardboard box, or styrofoam. Prices are so reasonable. $5 worth of chips gives you about 6 times the amount you'd get from a major fast food chain. Seafood is cheaper than you'll get in a supermarket, the salads (things like Greek, Coleslaw) might set you back $5 for a large, and the burgers are usually sub-$10, which is amazing considering their size and scope. Everyone loves a dirty kebab at 3am after a night of being rejected over and over again. Also, shout out to the pizza place next to Scruffy Murphy's.